Leftovers4Dinner: Hitting the Trails with new Gear! Bender Oak and I love the long, scenic adventures we take while Letterboxing, Geocaching, or Hiking. It helps us stay active, keeps Bender emotionally sound, and gives us a greater appreciation of what's out there in the world. Sometimes (more like most of the time) we're no where near a 7-11, or we have tons of stuff we want to bring while we're out exploring. Because of this, I have to wear a large backpack, containing water and snacks for both of us, first aid gear (knock on wood! ), camera gear, and our Letterboxing/Geocaching gear. Earlier this year, my kind Friends Erik and Namie got Bender and I Birthday Gift card. 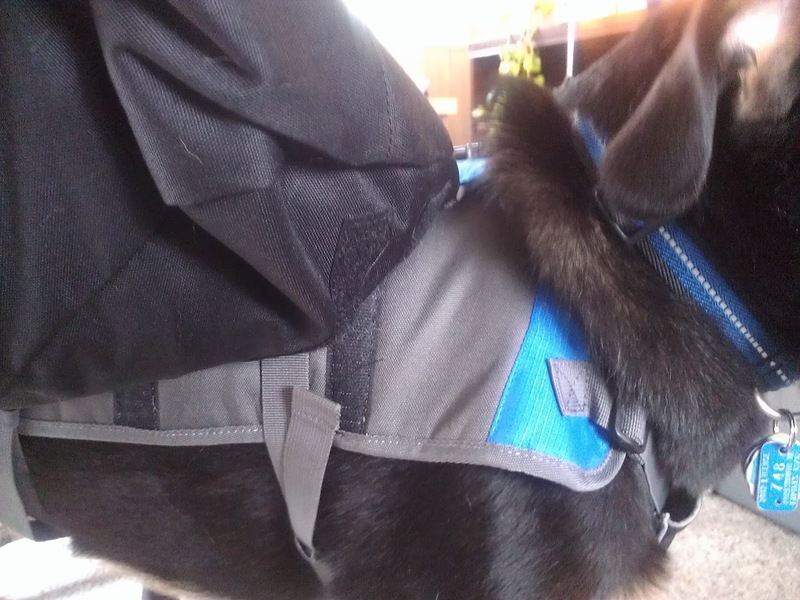 So, I got Bender a present: a Travel Backpack. We were absolutely thrilled with it! I was happy because it was less gear for me to carry and slow me down, and Bender instantly became a total "Angel" because he had a new job: being responsible and carrying stuff! Now, Bender could carry his own water, treats, and poopie bags. This pack enabled us to visit all sorts of new places, and meet new people. Every one that met Bender had questions about his "cute backpack" and we always let them know that it was "Cuteness with a Purpose!" We ran into some issues though. Now that Bender could carry his own gear, we could go farther, and longer. Which means both of us were thirstier. Unfortunately, his pack couldn't hold more water than the two bottles he carried. Sometimes, in difficult terrain, his pack would slide completely over, and that would startle or alarm him terribly. His pack was great for casual walks in our neighborhood, but the wear and tear of Nature Trails, wildlife reserves, and the deep forests of Western North Carolina Vacations took their toll on the pack. Considering we plan to do some serious exploring this year, with advanced trails, harder Letterboxes, Geocaches, and very remote locations, we needed to upgrade our gear. 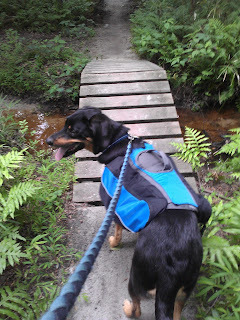 Well, we're ready now, because Bender's got some awesome new gear: the 2012 Outward Hound Outdoor Adventure Backpack! See how excited Bender is? He knows he gets to sport his new backpack on another awesome adventure! We're so excited about this Backpack. You can tell the folks at Outward Hound and Kyjen really stepped up to the plate with designing this new pack. It's serious business, and I can already tell that it's going to help us when we're out Letterboxing and Geocaching this year! The fit on this new Backpack is incredible. It's got multiple adjusting straps so you can tailor the pack for a secure and comfortable fit! With previous hiking gear for Ben, we had some trouble getting things to fit right. Bender's a weird shape, he's not big like a rotweiler in the front, and while he's a bit on the long side, he's certainly not long and skinny "tube" shape like some hound breeds. Sometimes finding him gear is worse than taking me Jeans shopping, lol! The new Outward Hound Backpack design ensures that Ben's pack stays on. A great fit, and a stylish design! Look at all that room! Previously, I would have to carry a majority of our outdoor gear, and supplies. With this new pack, Bender can actually fit a small Geocache or Letterbox, along with his water and treats! While Ben has noticed that size of the pack is bigger (he's so used to his old packs), it doesn't seem to bother him while out on the trails, only when he's trying to squeeze up to the front seat of the Trailblazer so he can get a better view while driving, lol. We love this pack, it's very stylish! Bender's favorite color is blue, so naturally, he got the blue one! I'm very happy with the bright, hiking gear style colors. Now there's no way my Black and Tan Hound Mutt will get confused as wildlife. Check out Kyjen's website, there's a very hot Green, and a beautiful pink for the ladies! I love the handle and zippers. The zippers are very secure, and no matter how much running around we do, our gear doesn't fall out! A fantastic feature of this pack is that the pack part comes off with velcro. I can put the harness part on first, and then throw the pack on after I put our supplies in! Since we're heading to several new, and more advanced hiking trails and Letterbox locations this summer, I decided to take the pack out to a smaller wildlife park in our area so Bender and I could get a feel for the pack. Check out my impromptu Product Review and Action Video below. I think you'll really dig it, and Outward Hound's taken the next step toward serious, reliable outdoor gear for dogs. Well, from Bender Oak and I, thanks for reading, and watching! Be sure to check back in a few days, we'll be posting our first Letterboxing adventure with the new Outward Hound Backpack later on this week! Bender looks great in that backpack! It looks like it fits him well and looks very functional! That looks so useful! What a wonderful dog to have around. 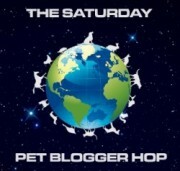 I hope you have a great weekend and thanks for coming by and linking up on my new blog hop. Please come by again! That backpack looks great. I like the idea of the the carry handle. My Human is really interested in how the backpack holds up. We do lots of off leash walking and hikes and she's always afraid that I'll get hung up where she can't get to me. She tried to pick my current pack 'cause it didn't cover too much of me to make me hot. I don't like heat. Just wanted to stop to see how your week went. Wishin' y'all a great and a wonderful summer and a relaxing weekend! Stay cool! Hey Browndogcbr! I'll be regularly posting our adventures with our new pack on the LeftOvers4Dinner blog (check out today's adventure by clicking "Home"). We love the pack so far, our only main concern at the moment is getting Bender to calm down when the backpack comes out so he can have it put on him, lol! This is a medium thickness pack, and it does get slightly hotter than his previous one. However, there are new cooling pack systems available where you can slide a cooling packet into the pack. the cooling packets are universal, so you can use them with your pack to in case it gets really hot in your area. We're in Coastal virginia (near Virginia Beach, Virginia) so right now it's 89 degrees, but we have 90% humidity (makes it a BILLION times worse). Since Ben's a black dog, we are always careful! He look so handsome in it. Our Dog BOLT, please come and see. Your comment will mean a lot! 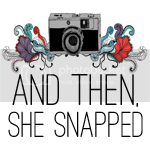 Won't you come by and visit us at our blog? Love that backpack, so clever and functional and comfortable, and what a very cute dog you have. I'll tell my dog friends about this post. Oh, Bender looks great in his new back pack! Have fun! Hi! Following you from Thursday Connect Cafe hop. Look forward to reading more! Would appreciate the follow back. Have a great day!